Please read this article to learn how to set up a ladder before choosing to run one. 1. Report results in the Match Dashboard. This is where all the matches will appear. Select the TV icon when hovering over a match to assign an available station to the two confirmed participants. They cannot view the station until you have assigned it via the Match Dashboard. To add stations for the event, you can go to Stations & Streams in the Tournament Settings (more info on adding stations here and assigning stations here). The number of stations that can be assigned at once can be edited via Matchmaking Settings under Brackets in the Tournament Settings. Once a match has an assigned station, it can be quick reported by clicking on the lightning icon. Matches can also be reported normally by clicking "Edit Match" and entering scores in the pop-up modal. Once a match is reported, it will remove itself from the display of the Match Dashboard unless Completed Matches is specifically viewed. 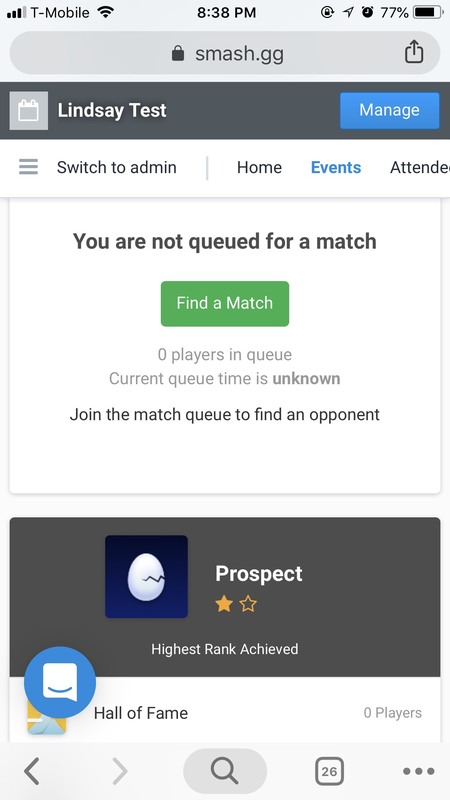 As soon as a match has been reported, both players are free to queue up for the ladder again. 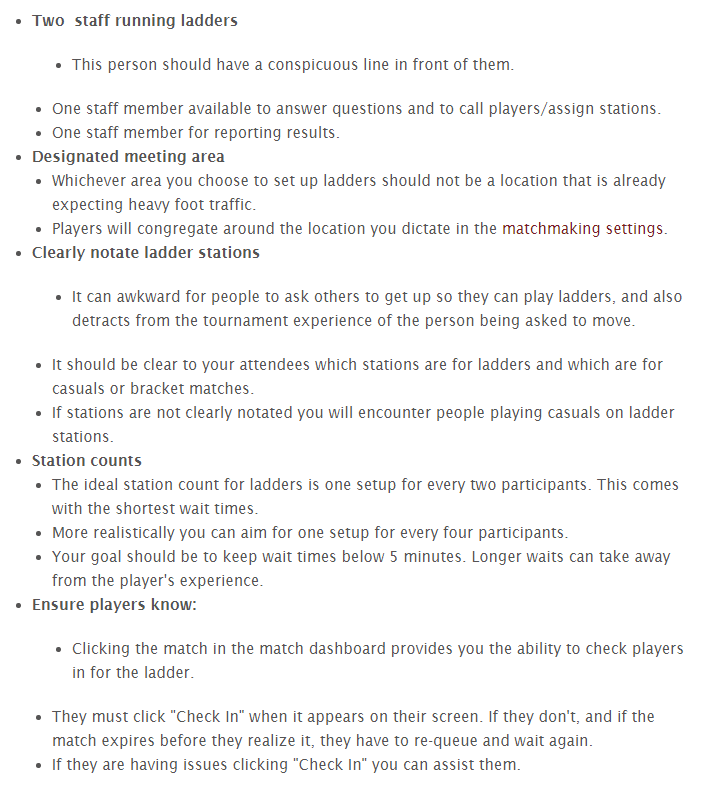 Players use their phones or mobile devices to play in the ladder. Players queue up on the Ladder page of the tournament. Players get matched up and check-in. Clicking check-in tells the software the player is aware of the pairing. Players will follow on-screen instructions to get station assignment from tournament organizers. Once player finishes match, report results to tournament organizer (or self report if online tournament). Player is now free to queue again!